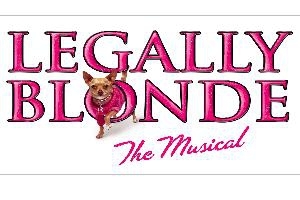 Legally Blonde The Musical hits Vancouver this March for its debut of six spectacular shows at the Queen Elizabeth Theatre. The role of Elle Woods, was made famous on the big screen by Academy Award winning actor Reese Witherspoon. In this multiple award winning theatrical production, sorority star Elle Woods doesn't take “no” for an answer. So when her boyfriend dumps her for someone more “serious,” Elle puts down the credit card, hits the books, and sets out to go where no Delta Nu has gone before: Harvard Law. Along the way, Elle proves that being true to yourself never goes out of style. This show will take you from the sorority house to the halls of justice with Broadway's brightest new heroine (and of course, her chihuahua, Bruiser). The verdict? This much fun shouldn't be legal! Among the list of awards the show has won are Best New Musical, Best Production Design and Best Choreography of a Touring Production. 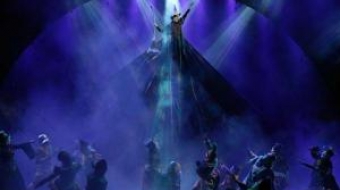 As on Broadway, Tony Award-winner Jerry Mitchell is the director and choreographer. Music and lyrics are by both Laurence O’Keefe and Nell Benjamin, and the book is by Heather Hach. Tickets can be purchased at ticketmaster or by calling 1-855-985-5000 and start at $25 plus applicable fees. Groups tickets are available now to groups of 15 or more. Special pricing for students, seniors and early bird bookings. stay tunes for a complete review of the show! !